The new full-time Utah Transit Authority Board ordered a restructuring of the agency Wednesday, including setting new salary ranges for all jobs. The action by the new bosses means that many of their employees — potentially up to 42 of them over time — could be better paid than they are, with trustees’ annual salaries now capped at $150,000 by the state Legislature. 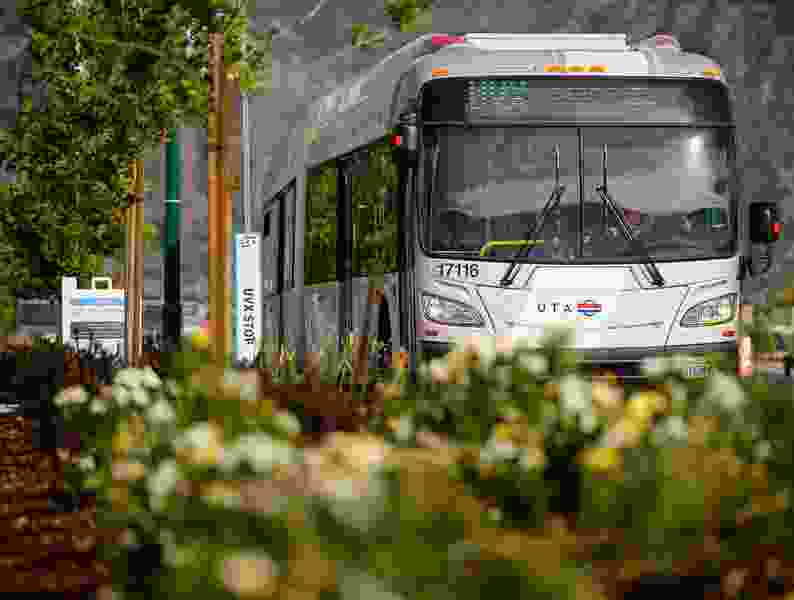 Lawmakers last year reorganized the agency’s leadership — replacing its old 16-member part-time board with a new full-time, three-member commission — in order to better manage the scandal-tainted UTA administration. The agency has long been criticized for high executive salaries and bonuses. For example, total compensation of former UTA President and CEO Michael Allegra was $402,187 in 2013, including a $30,000 bonus and benefits. UTA subsequently ended bonuses, and new top execs were paid less when hired. New pay ranges adopted for other UTA employees Wednesday could allow dozens of UTA employees to be paid more than the $150,000 the three commission members will receive. In 2017 — the last year for which UTA salaries have been disclosed on state websites — 10 employees received annual salaries that exceeded $150,000 (not including benefits). That included $273,982 for then-President and CEO Jerry Benson (since retired); $206,000 for Todd Provost, vice president of operations and capital; and $204,400 for then-general counsel Jayme Blakesley, who also left UTA. The newly adopted pay structure “doesn’t change the current salaries of any individuals, but it may as they approach the high end of those ranges,” said Carlton Christensen, chairman of the new board. He added the ranges may be adjusted over time based on market surveys. Lennie Mahler | The Salt Lake Tribune Carlton Christensen, new board chairman of the Utah Transit Authority. But he said the new ranges are an effort toward transparency and will allow employees to see what the possibilities are for their compensation. 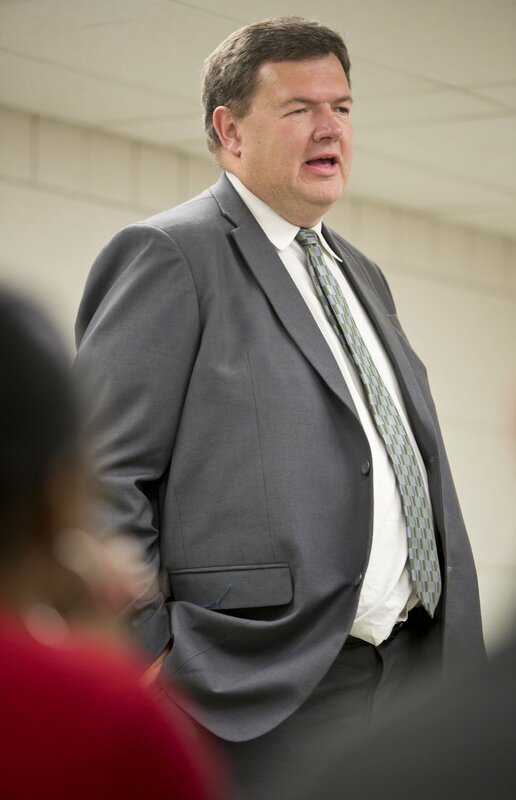 Christensen said Wednesday that he and fellow trustee Beth Holbrook have spent the two months since they took office meeting with employees and studying the agency’s structure. A third board member, Kent Millington, was recently nominated by Gov. Gary Herbert and is awaiting Senate confirmation. The structure they adopted Wednesday changes the titles and responsibilities of some top administrators, makes tweaks throughout the agency and will change the role of a yet-to-be-hired new executive director. That new director, Christensen said, will focus much more on day-to-day operations. Previous CEOs of the agency also spent much of their time working with outside groups — from lawmakers to riders, cities and development partners — which the new board will handle, along with overseeing the agency as a whole. (Rick Egan | The Salt Lake Tribune) Beth Holbrook, UTA board member. The new organizational chart will have the agency’s chief auditor, government relations director and strategic board operations director report directly to the board. All others will report initially to the new executive director. Beneath the executive director will be six top positions, whose responsibilities have been shuffled somewhat from the old structure. They include a chief operating officer, chief finance officer, chief communications and marketing officer, chief people officer, chief service development officer and chief safety, security and technology officer.